“Recently the Cause Corps team went out to the University of New South Wales to pursue our ’25 Acts of Good Campaign’. Cause Corps connects micro-volunteers and volunteering organisations, with impact and purpose. We were really excited about the good that Post Pals is doing, and wanted to assist. We encountered scores of students who were more than happy to write postcards with iconic Australian features on them, in the spirit of doing good and cheering up a child all the way from the UK. Following the event our team got together and filtered out the ones that were appropriate to send following the guidelines set out on the website. 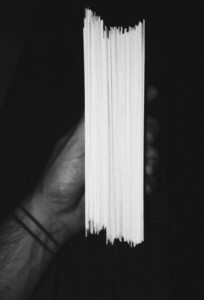 I have attached a photo below of the postcards that we ended up receiving after our day at the university, taken by one of our wonderful team members Phillip. 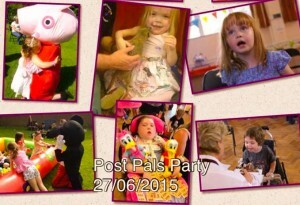 This year our annual Post Pals summer party is being held on Saturday 27th June 2015. All our Post Pals families, past and present, and also all our volunteers are welcome. We have lots happening at our animal themed party. There will be entertainment for all ages and abilities including face painting, a huge jungle slide, ball pool, bouncy castle, funky hair (have your hair done in a cool style, have colour, glitter or clips added), have your caricature done, pampering, a great children’s entertainer to kick things off, entertainment and so much more. Not only will you get to meet other families but Peppa Pig, Minnie and Mickey Mouse, and Spider-Man, will be dropping in too. The pig and mice aren’t the only animals you will meet though as Ben is returning from last year with an even bigger range of animals to learn about, stroke, watch fly, feed and hold. Last year all the animals were loved but the baby meerkats and Python were a huge hit! Please come along and join in the fun, the more the merrier. It takes place at the same hall and garden as the past couple of years. The address is St Lawrence’s Church Hall, Browns Lane, Effingham, KT24 5NL. The party starts at 12.30pm and has scheduled activities until 6pm but last year some families stayed playing until 8pm. There is a small car park (with disabled spaces) at the hall and on road parking in the quiet street. The closest big station is Leatherhead and we will be running lifts to and from on the day. If you need a lift please could you email me on viks@postpals.co.uk with your mobile number, what time your train will be arriving, how many of you there are and if you have a wheelchair with you. Post Pals has some money put aside to help families who can not afford to otherwise attend.